The nose gave us dried flowers in wicker baskets, russet apples, apricot Danish and barley sugars; bandy-soaked Christmas cake, orange muscat and sweet ginger. The palate was ‘toothsome’ and ‘very enjoyable’ – but with spicy warmth and woody weight behind it – honeyed figs, crystallised ginger and suggestions of Chartreuse and Glühwein. The reduced nose was aromatic and evocative – straw around strawberries, cinder toffee, fig rolls, treacle tart, delicatessens and old libraries. 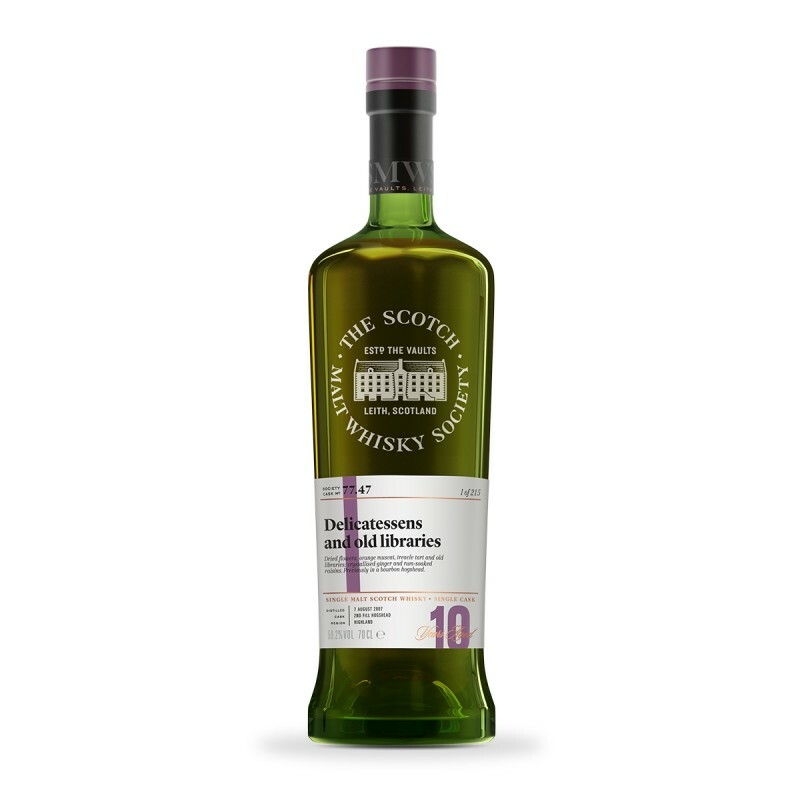 The palate developed plump sultanas, marzipan, brandy snaps and rum-soaked raisins; walnut shells and liquorice on the finish. After 9 years in refill bourbon we transferred this into fine grain French oak. © The Scotch Malt Whisky Society.